Purpose: Use this document as a reference for how to upload Compass files into ctcLink. On the Compass website, select the Reports tab. Specify Dates: Choose the desired Date Range. 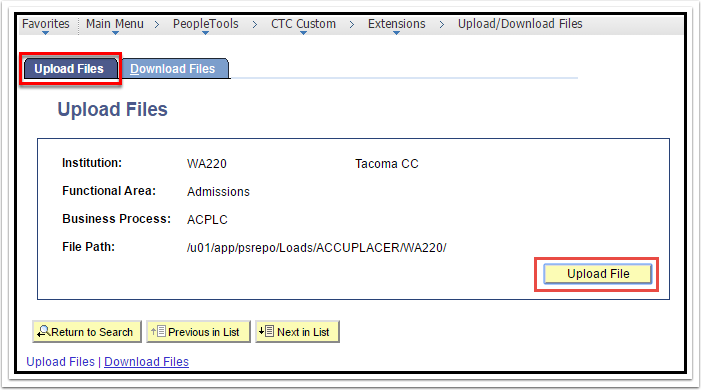 Specify Test Centers: Check the Assessment Center box. Specify Type of File for Output: Select the Concatenate SSRs into one CSV file option. 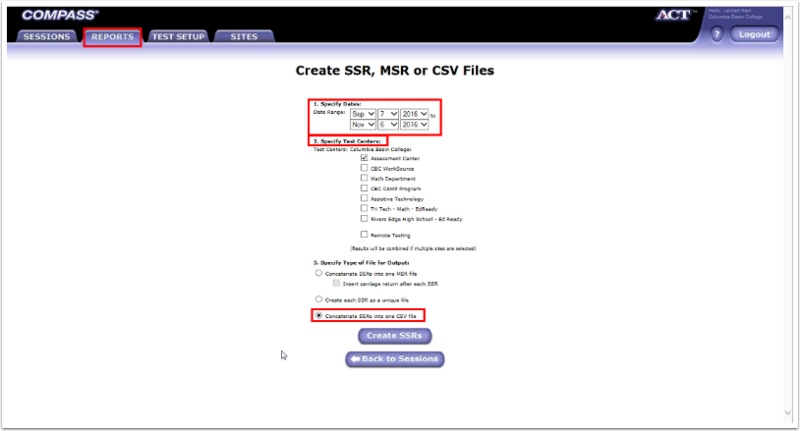 Click the Create SSRs button. Below is an example of an extracted Compass file. Academic Institution: Enter or Look Up. Functional Area: Enter or click Search to select from list. 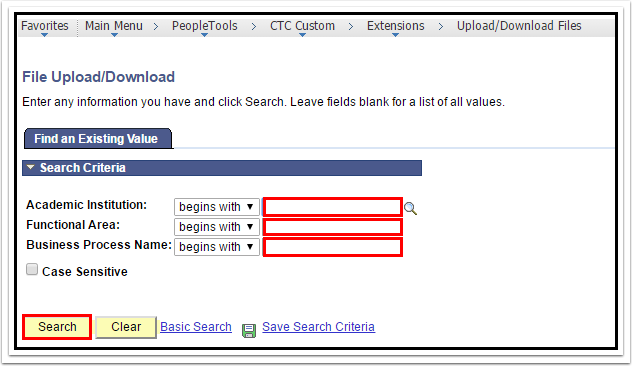 Business Process Name: Enter or click Search to select from list. On the Upload Files tab, click Upload File button. 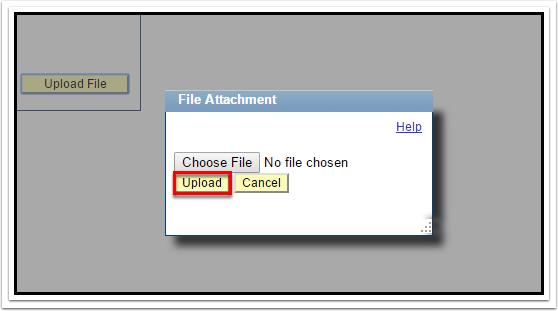 Choose File and click the Upload button. Load the test score file (External Test Score Load QRG) to complete the process.